All kind of fables and tales have been used in education since long time ago. They were used as a way to reach children's minds and hearts. 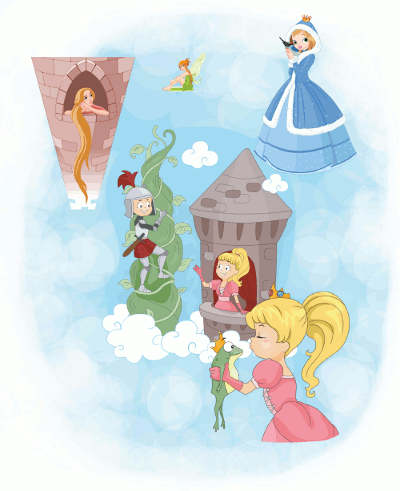 Stories were usually starred by heroes, princesses, monsters and other creatures of the fantasy world. This way, the always working children imaginations were captivated by these stories. They lived the same adventures their favourite characters lived and, more important, they lerant the same lessons their heroes learnt. Those lesson were created with a goal in adult's minds: to help chidren grow and success in the world they had born. As anyone can see, parents' goals haven't changed too much. However, our world and our culture have faced a complete transformation over the course of the last centuries. Many of the values and beliefs of previous generations have dissapeared. The way people live in cities is completely different to that of some time ago. Scarcity and death are not so common in the developed world, while strength and will power are also rare qualities of our children. Fortunately, the core values, the ones that are more important to develop into a complete human being, haven't changed that much. Generosity, kindness, respect, tolerance, sincerity, humility and many others are still in the list of qualities we wish our children to have. However, most of those fables and classic tales have become a bit outdated. They are full of references to events that a current kid can't understand, such as parents abandoning their children in the woods (an event which i very common un many classic and fairy tales). That is the main reason we think new educational stories are needed for our children. We are building a huge collection of them, and create them with just one goal: to help to educate our children as those classic tales served to educate children in previous ages. Anyway, what we now call classic tales are now much more than educational resources: they are a core part of our culture and our literacy, and we are indebted to them. That is why we include here a few links to multimedia versions of some of the best known children stories of all ages. It is our humble tribute to those who realized that creativity and imagination are a great way to teach.